I’m sick of hip hop, and I’d wager that if you’re looking at this review, you’re probably at least a little sick of it yourself as well. Everything sounds the same and there’s little or no thematic differentiation in the mainstream. It’s boring. FallenUnique’s music is the antithesis of that. His songs entrance and mystify, terrifies and intrigues, tantalizes and provokes. The sound is full of lush, rich and deep ambient textures, stretching and warping through downtempo rhythms. This accompanied by a whispered spoken word to rap flow, steeped in dark and ominous atmospheres that are tantalizingly threatening on the single, “Get Out”. Describing this music seems almost more beside-the-point than describing most music. The Lebanese producer compels overwhelming emotional responses (melancholy, sublime, wistful) from the track’s inorganic elements. The whole thing sounds like the soundtrack to a psychological thriller. What’s strange, though, is that for all this foreboding, the listener is never dragged down. I chalk this up to the pacing: twists are woven amidst more ruminative fare, providing a sense of instrumental narrative that’s too often absent in many releases these days. There’s a sense of purpose, determination and forward motion on this record. Defined by its dark, intense tone, the record is certainly a different direction compared to what the regular trappers or emo rappers are doing. Actually it sounds like FallenUnique cuts straight down the middle, borrowing bits and pieces from both styles, and then adding his own take on top. 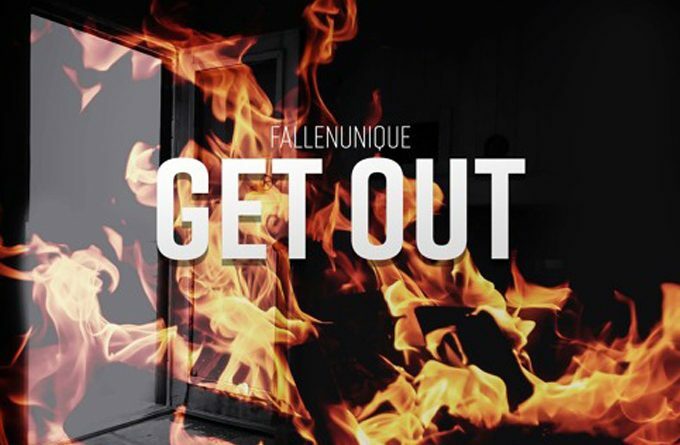 “Get Out” comes at a welcome time, as it’s a reminder of how much detail and patience goes into quality electronic music, which forms the backbone of the track. The fabric of FallenUnique’s productions is creating complex, intriguing scenarios that tease the mind as much as they satisfy it. “Get Out” is released at a time when a focus on texture and depth is very much commonplace in the beat making world. And this just suits FallenUnique perfectly, as he is focused on creating mood and sonically representing the fascinating workings of his mind. The single release is both an immersive musical experience and a code, to be explored and unlocked given time and space. My expectations were unfathomably high, on hearing about FallenUnique’s take on the electronic genre, but he has risen to meet the challenge. It’s a fine piece of work which demands a dedicated listen. “Get Out” slowly unfurls to reveal a wealth of detail and depth that could so easily be missed by the casual listener. 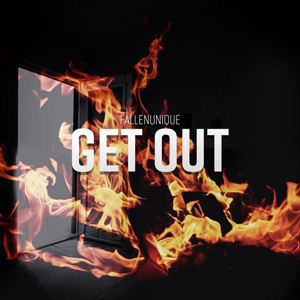 FallenUnique finely balances his mystical depths with a concrete, satisfying musicality, interspersed with understated vocals, and a cinematic sweep to his sound.